Another new feature for you all! Our latest artist spotlight features Dallas rock group, Tom Devil and The Wizard, which is led by lead guitarist and vocalist Matt Nestor. I caught up with Matt to discuss the group's inspirations and plans the group has for the second half of 2016! Matt said his love for music came after he got a head injury in a bike accident at ten years old. He was unable to play contact sports for a year and, during that year, his dad showed him how to play the guitar and introduced him to bands and artists like Cream, Jimi Hendrix, and Stevie Ray Vaughan. That had him instantly hooked, especially after going to his first concert when at 11 years old at the Bronco Bowl to see Grand Funk Railroad. Matt revealed that the idea of forming a group came after he moved back home to Dallas, TX and met up for a jam session with an old high school friend, Jake. After a couple members left the group, the "power trio" was formed with Matt on vocals and guitar, Joey Pirro on bass, and Jake Malan on drums. "The name came about through a friend and myself in college when we spoke of starting a delta blues band," Matt stated. 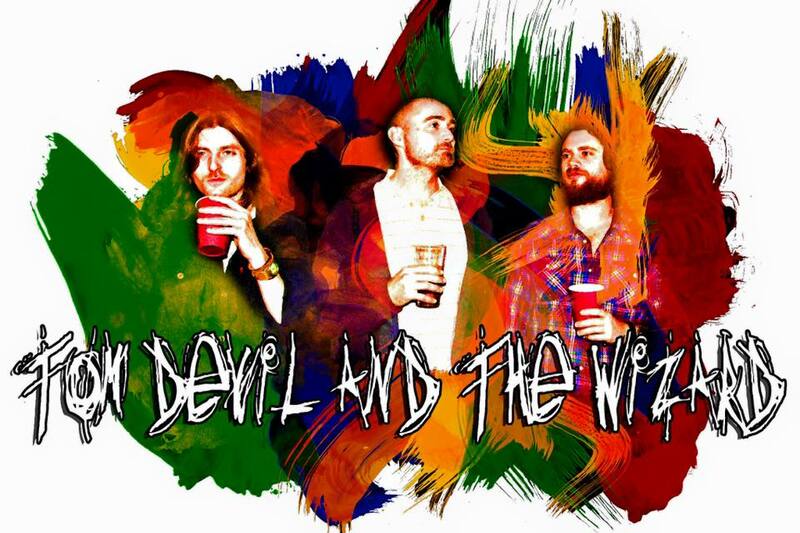 "We created a fictional legend behind this band with the characters of Tom Devil and the Wizard." The group is inspired by acts such as Phish, Neil Young, and Clutch and is essentially a straight up rock group with elements of funk, blues and jazz. After recently playing the Balcony T.V. event in Austin, and all over the Dallas/Ft. Worth Metroplex, as well as recently releasing their debut, self-titled EP last year, Tom Devil and the Wizard are currently preparing to release their second EP as well as go on tour all over the East Coast. A few songs that Matt encouraged listeners to check out include "Don't Make Me Cry" and "Smelly Train" (one of my favorites), as well as "Blindsided", "Tonto", and "One Lane Highway" from the upcoming EP! Be sure to support the group's album on iTunes! Also, follow them on their social media handles below!